Hi there! Happy day before Thanksgiving! 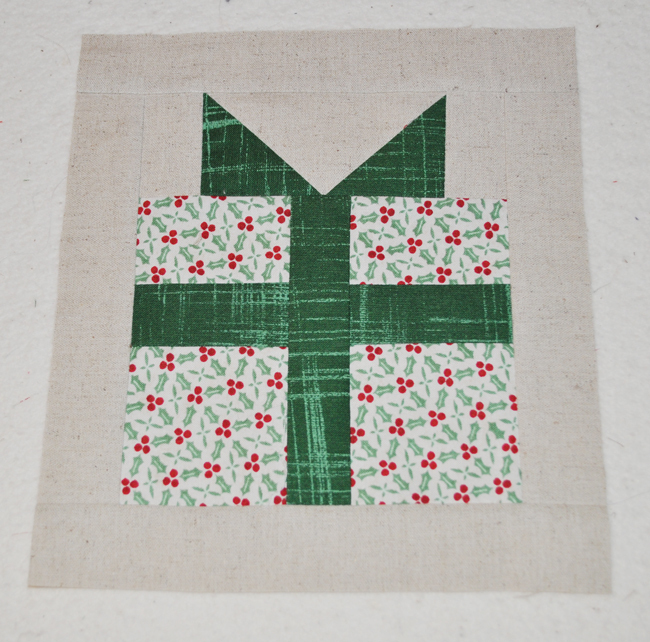 :) I have one last Christmas project to share with you all! This one takes a little more time than the others, but it is so worth it! 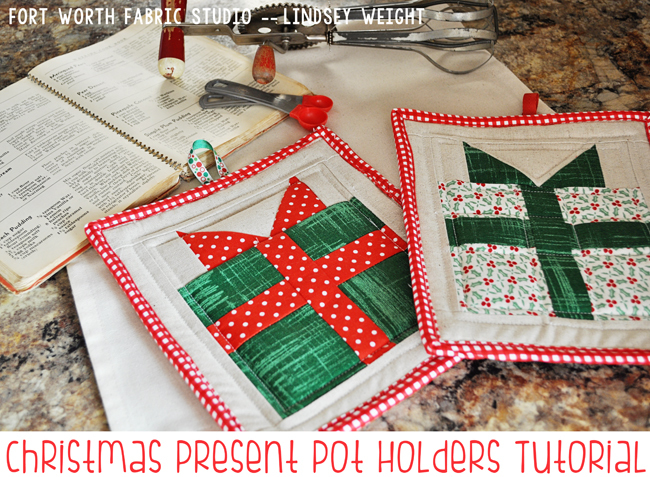 These Christmas Present Pot Holder's are so festive and will give your kitchen a fun holiday touch! 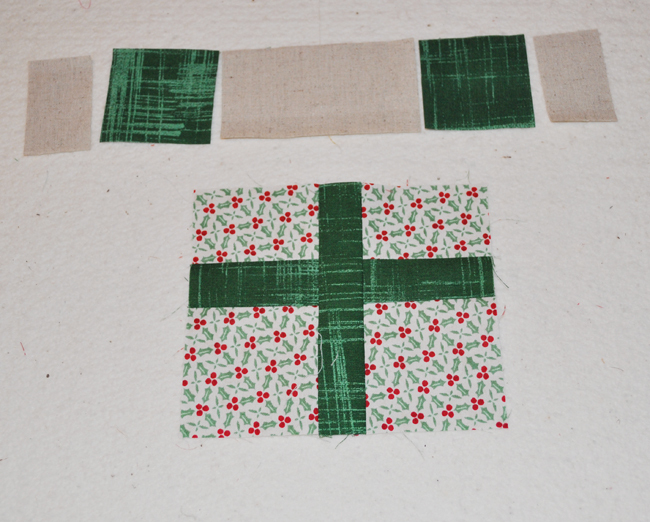 2 - 2" x 3"
Step 3: Now you will sew the two sides to the center green strip. Step 4: Now we will make the bow. 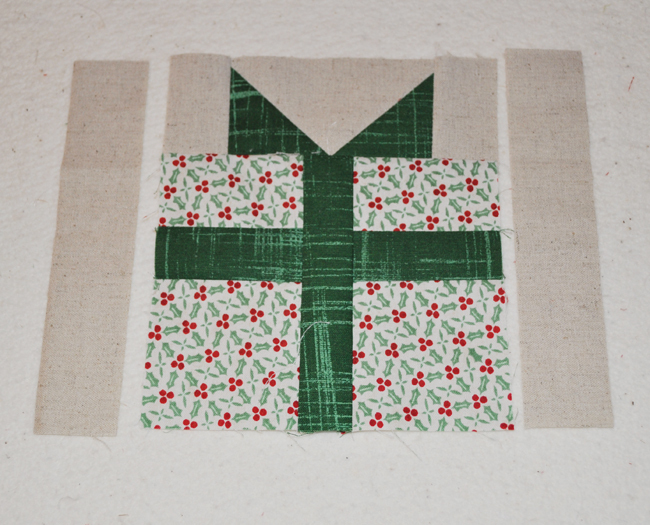 With your 2.5" x 4.5" strip, you will place one of the green squares right sides together to make an easy corner triangle. 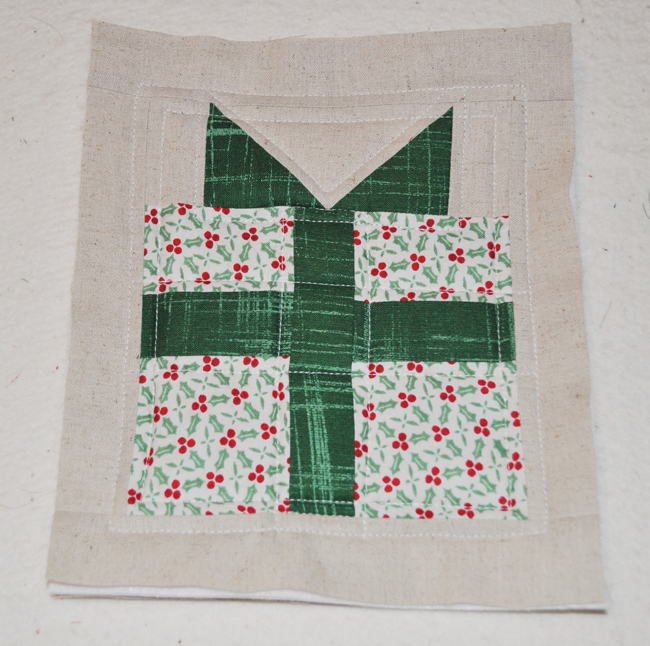 Mark a diagonal line down the center of the wrong side of the square and then sew on that line. 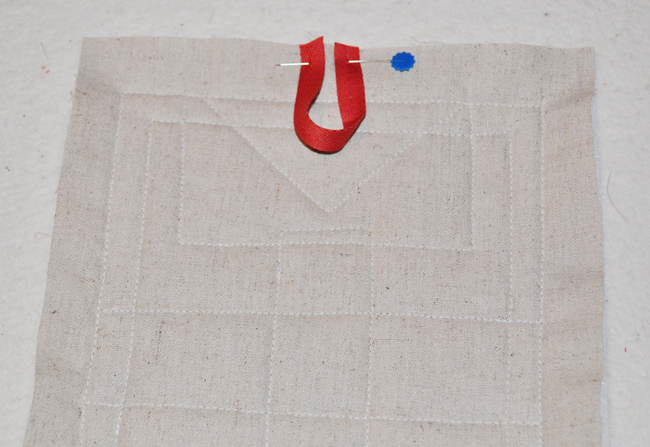 Trim off a 1/4" from the seam, and iron open. 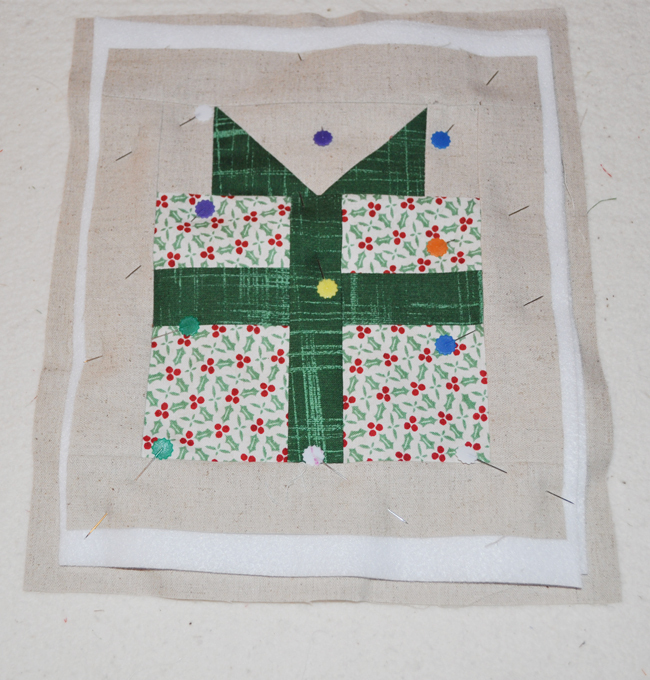 Step 5: Now take your other green square and place it on the opposite side and mark a line and sew down that line. Trim off excess a 1/4" from the seam, and iron open. 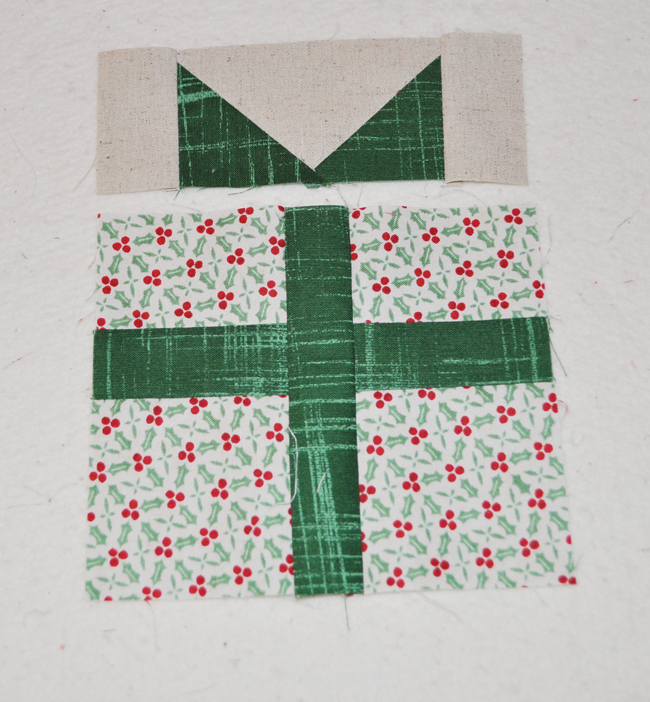 Step 7: Sew your two pieces together to make your present. 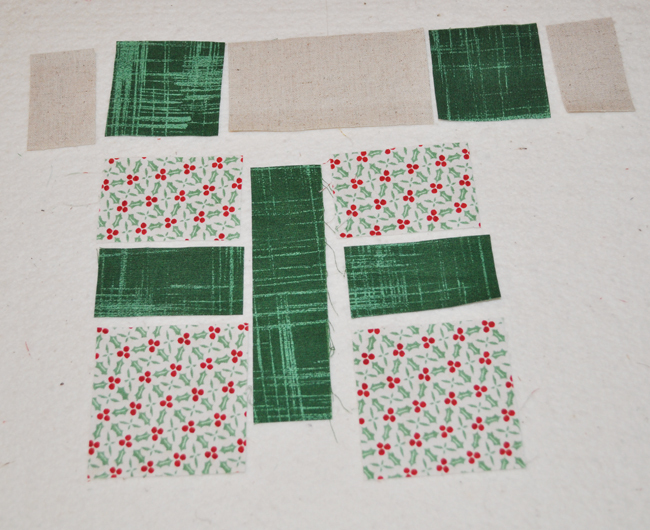 Next you will add a 1.5" border around the block. Step 8: To make into a pot holder, you will layer: backing right side down, 2 layers of insul-bright and your block right side up. 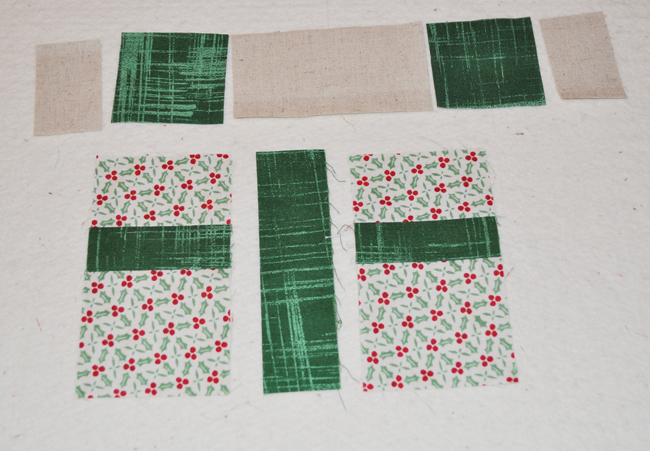 Pin them together and quilt. I kept it pretty simple, just straight lines! Trim off excess backing and batting. Step 9: Add your ribbon. Place a 4.5" long piece of ribbon and pin like pictured. Make sure it's centered! And then sew it on. Now it's time to bind! You can find my binding tutorial here! And there you have it! 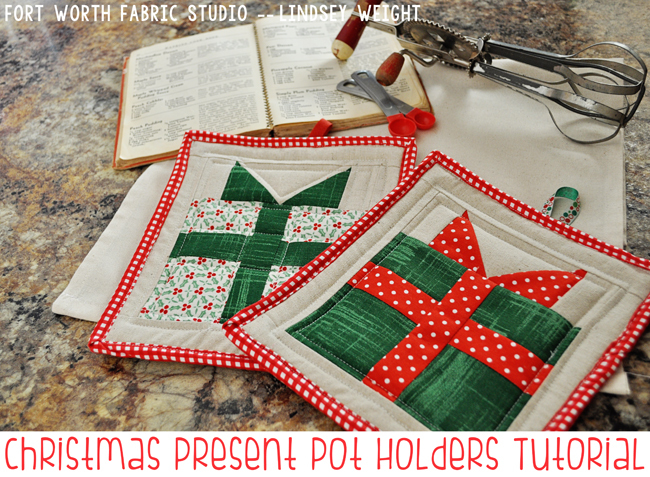 A couple of fun and festive pot holders for Christmas! These would make really great gifts for friends and neighbors! I hope you all have a fun and safe Thanksgiving weekend! I saw a post on facebook with a quilt like this. Thank you for posting the instructions. I love these potholders, I'm going to pin this for later! how large is this block? What does it finish at?